Sadly, Christmas decorations are already appearing in the shopping centres even though it’s still October. So I suppose it’s nearly time to start working out what Christmas cake and what style of pudding to make this year. I seem to make a different version every year. 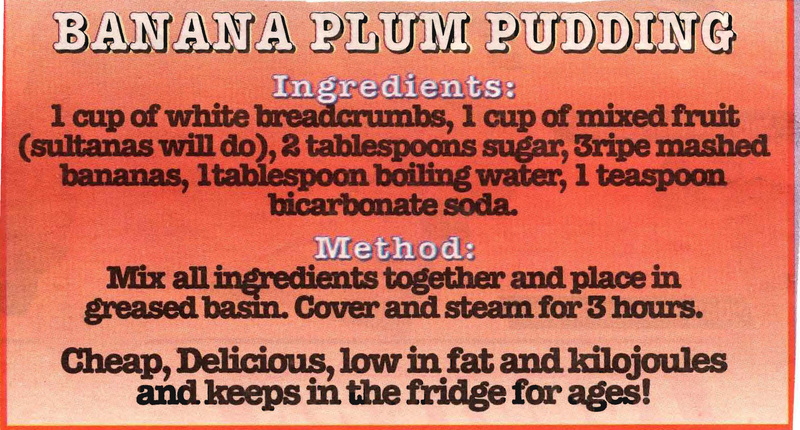 I’m not quite sure if this recipe qualifies as a Christmas pudding, but if you’re looking for something different it might be worth trying. 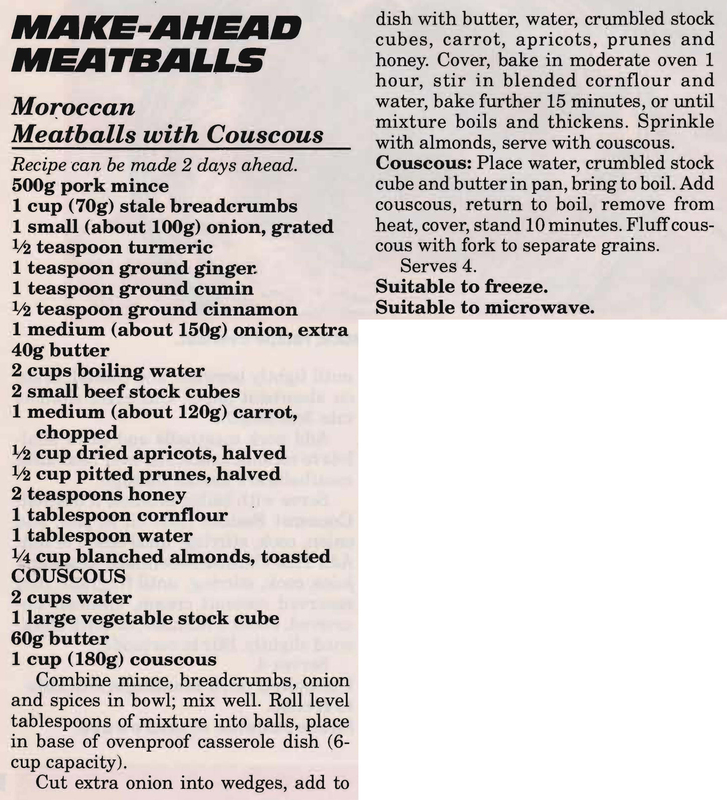 These meatballs have lots of spices added, but the fruit (dried apricots and dried prunes), almonds and honey are really what give the dish its Moroccan flavour – and of course the couscous. 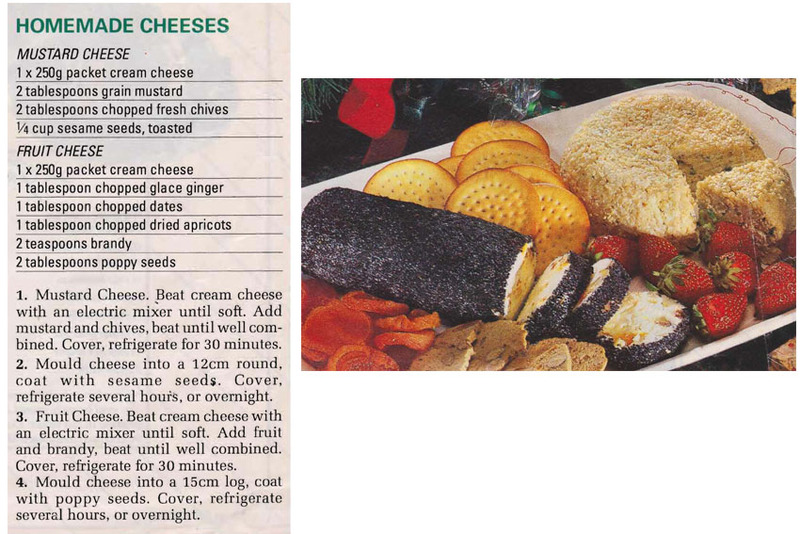 Like everyone else I buy prepared cheeses from the supermarket, but when you realize how easy it is to make these two versions and how much better homemade ones always taste, it does make me wonder why. 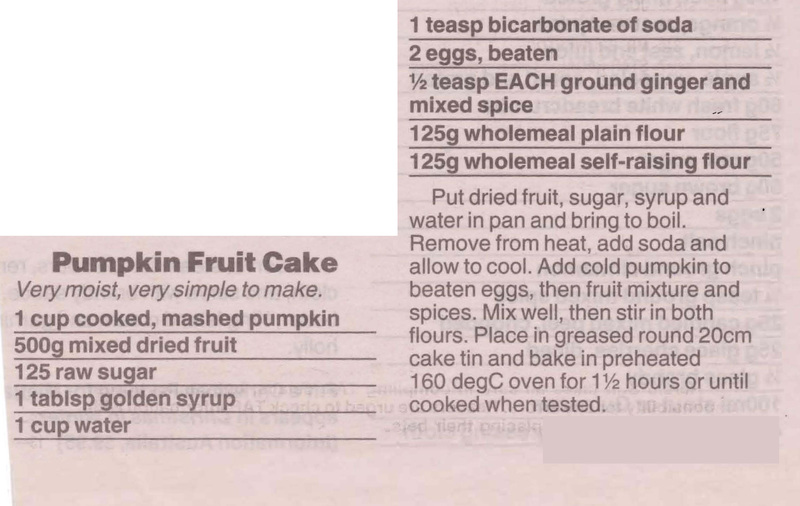 I’ve posted recipes for lots of different fruit cakes since I started this blog, but have just realized that a Pumpkin Fruit Cake recipe is missing from the collection. Mum and I have both made the pumpkin version over the years, we didn’t use wholemeal flour, but either way the pumpkin is a nice touch to the traditional cake. Bread and butter pudding was a family staple in our house when I was growing up as I’m sure it was in many homes. As this recipe says it’s a pretty cheap and foolproof dessert and the great thing is that you can use a variety of breads, stale cake, scones, rolls or even biscuits as the base. I’ve always thought lashings of cream poured over the top adds to the delight.